The first instalment in our play reading series with Bea Quarrie and Friends. 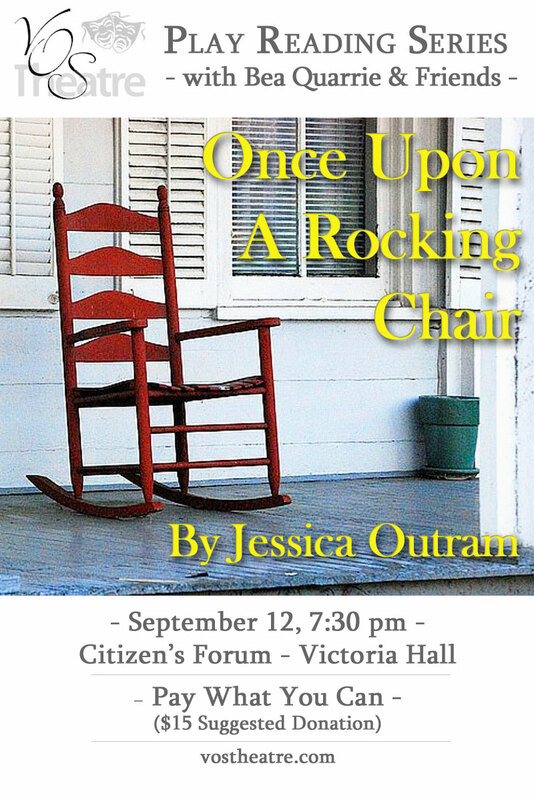 Once Upon A Rocking Chair by Jessica Outram. This reading takes place in the Citizen’s Forum at Victoria Hall in Cobourg on Friday Sept 12th at 7:30pm. The event is “pay what you can” with a $15 suggested donation – you do NOT need to purchase tickets beforehand.